Los Angeles, CA, United States (4E) – Showrunner Adam Horowitz has released new set photos from the show “Once Upon A Time” noting that they have started filming again for the upcoming episodes of Season 6. Also, in a new promo photo, Regina or the Evil Queen was also featured making fans wonder if she will be going back to the bad side in “Once Upon A Time” Season 6. Horowitz took to Twitter to post a series of tweets of behind-the-scenes snap for the show. In one of the posts, they were seen shooting a scene and Horowitz captioned it with the following: “Aaaaannnnd we’re rolling! # OnceUponATime # Season6 # setspoilers – hope to see ya 9/25!” In one of the photos, Emma, played by Jennifer Morrison, shooting a scene with Prince Charming, played by Josh Dallas, and Captain Hook, played by Collin O’Donoghue . Towards the end of “Once Upon A Time” Season 5, fans were able to see Emma and her group going to the underworld to try and save Hook after he and Emma have both become the Dark Ones. 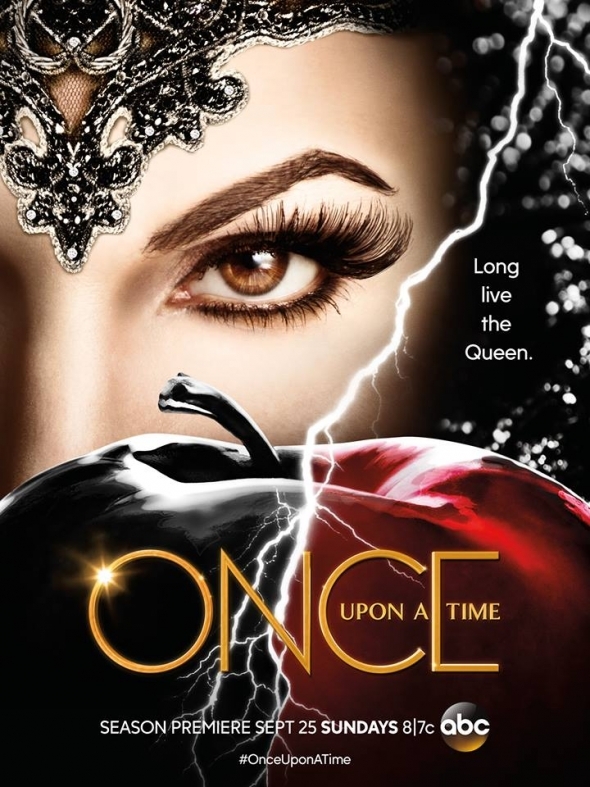 As for the latest poster of “Once Upon A Time” Season 6, Regina as the Evil Queen was featured. The promo photo was debuted at the Comic-Con and it was also noticeable that the apple below is black on one side and red on the other. It is possible that Regina would be struggling to be good as her evil self might be triggered one way or another. The tagline “Long Live the Queen” was also noticeable in the latest “Once Upon A Time” Season 6 promo photo. Executive producer Edward Kitsis said in a statement recently, "If she's unleashed, she would show Regina what ripping away everyone's happy ending truly looks like." “Once Upon A Time” Season 6 will be back on the small screen on ABC this September 25 at 8 P.M.